Tate Multimedia finally released the first gameplay trailer for their upcoming PC, PS4, and Xbox One combat racer Steel Rats. Tate Multimedia first unveiled their 2.5D combat racer Steel Rats last year, but at that time they did not show off any gameplay. Today, the Polish developer released the first gameplay video, giving us a better look at the game’s explosive motorcycle combat, stunts, and more. For those of you who don’t know, Steel Rats follows the escapades of the titular biker gang, who are attempting to fight back against an evil army of junkbots that have taken over their home, Coastal City. While the final version of the game will let players choose between multiple characters, this trailer opts to just show one off. In the video, we see several different aspects of gameplay. There are the typical spectacular stunts people have come to expect from a game like this, but Steel Rats actually seems to be pretty combat heavy. 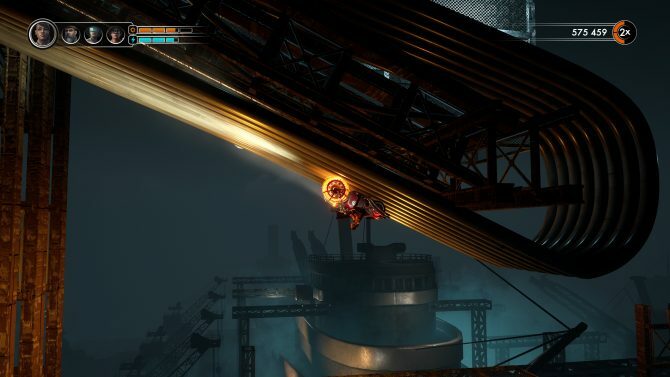 The player in the trailer uses the front wheel of their motorcycle to boost and break through objects in the environment, and even ride up walls. You can check out the gameplay trailer below. Steel Rats is currently poised to release on PC, PS4, and Xbox One later this year. 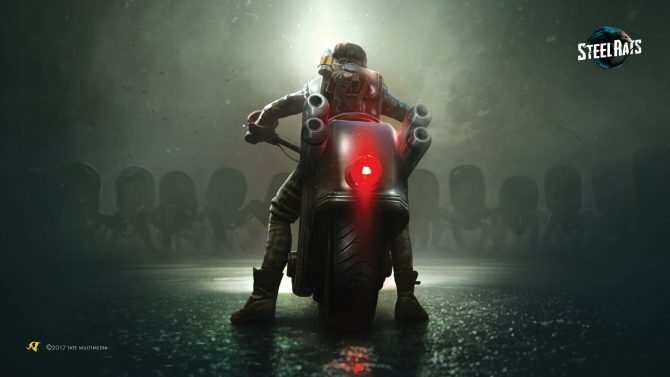 Steel Rats' launch trailer shows the games unique blend of combat and stunt-based action as bikers hit the road to take down an alien invasion.